Alstom and the RATP have successfully completed an initial experiment concerning the autonomous stabling of a tram in the RATPs T7 depot in Vitry-sur-Seine. The project lasted a total of six months, including three at the Vitry site. A phase of additional studies and tests is due to be launched from the second half of 2017 onwards. The tram, by means of sensors (lidars), detects obstacles and reacts accordingly: reductions in speed, maximum service braking or emergency braking as the case may be. It is also capable of situating itself on the site and recognising its stabling point. The results confirm the feasibility of using these new technologies inside a depot: the tram moves autonomously, runs at the required speed in a straight line or in a curve, and stops at a pre-ordained stabling point. Henri Poupart-Lafarge, Alstom Chairman and CEO and Elisabeth Borne, President and CEO of the RATP, visited the Vitry-sur-Seine depot to observe the proper performance of the solution. Elisabeth Borne says: "The RATP is proud to participate in this first experiment concerning the autonomous stabling of a tram. This is fully in line with the group's culture of innovation, which is already quite present in the autonomous shuttle. Along the same lines, we will soon be testing the autonomous stabling / unstabling of a bus." "Our solutions are evolving and we want our customers to benefit from all the progress we are making in new technology. One of Alstom's objectives is to reduce operating costs for its customers, with a view to optimising the total cost of ownership of their solutions. Automating the operation of the tram will allow a new approach to operations in the depot and I am delighted to see that the tests are already well under way," says Henri Poupart-Lafarge. 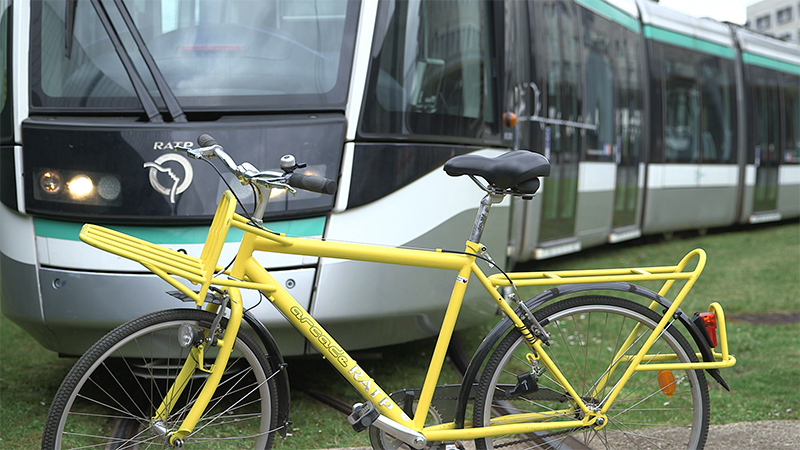 To carry out this experiment, Alstom partially used the technology of Easymile, a French start-up working with the RATP on the development of an autonomous vehicle. Alstom's objective is to offer increasingly complete systems solutions, from equipment integration in trains to signalling, and including solutions that facilitate operations and maintenance inside the depot. Alstoms entry into the capital of Easymile thus makes it possible to broaden the range of applications for the operation of autonomous rail vehicles.